Slub (adj): Maverick; unorthodox; independent in behavior or thought. In the 282 days since graduating from St. Olaf, I have started and then abandoned approximately a bazillion books. Fortunately, amidst the graveyard of discarded books in my room are 2 that I actually have read. One of those books was the final installment in the Harry Potter series, because of the corresponding film’s release this past July. As fellow slub Kathryn points out in her truly lovely ode to all things Potter, it isn’t hard to completely devour J.K. Rowling’s imaginative series so I’m afraid reading The Deathly Hallows may not count as having accomplished much in the way of literary consumption. Then again, you could say the exact same thing about the only other book I’ve managed to fully read since graduation: The Hunger Games. For a while, without any good reason, I resisted the craze. Multiple friends had recommended that I read the series some time ago, but I was too lazy to go to the library. Plus, the waiting list for the books is truly astronomical. Then, Kat and Anna had a viable conniption over the series in early February. They absolutely sped through all three stories and undoubtedly sacrificed sleep and their social lives to read every last page in a matter of days. They raved about the series and then went on to rave about the impending movie production of the first book, coming out on March 23rd. They adamantly claim that they will be attending the midnight showing dressed as tracker jackers. I give in to bandwagon syndrome more easily than perhaps I should, so having been directly surrounded by such enthusiasm for the phenomenon I decided to crack open the first book a few days ago. I think I read the entirety of The Hunger Games in two nights, pausing only to do normal human things like go to work and sometimes eat and perhaps even maintain one or two vital relationships. What is it about this series that’s so instantaneously appealing to the masses? I’ve often wondered what the critically elusive formula is to creating a written sensation. What makes an idea like Harry Potter catch fire? Why in the world is Twilight so damn popular? How have certain classical works withstood the test of time, with novels like Pride and Prejudice and To Kill a Mockingbird and One Hundred Years of Solitude appearing again and again on Top 100 lists? What makes Suzanne Collins’ story about one girl’s bid for survival so engrossing to read? 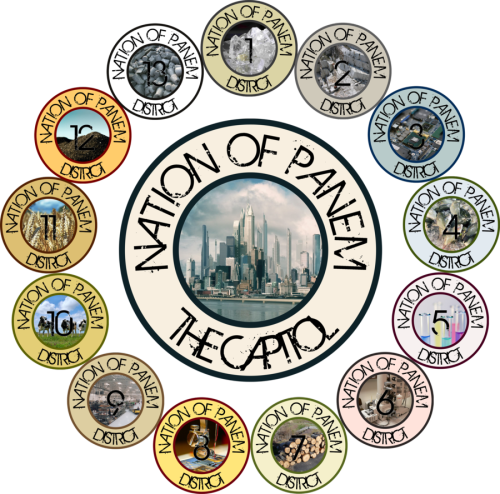 Perhaps it’s because Collins’ fictional world of Panem — ruled with a heavy hand by a central dictatorial government — is so well conceptualized in the first book of the series, titled The Hunger Games (the name by which the series in general is also known). The novel takes place in a post-apocalyptic America, the political and social landscape of which looks in many ways different from our nation today. In reality, the United States is basically a strange experiment in the longevity of the democratic dream. Though I am proud for so many reasons to be an American, it is important to realize that democracy is neither an iron rule nor an immortal organism; the structure of our current political system doesn’t guarantee that the United States will not one day slide into the depths of a dictatorship. Collins explores this idea with creepy imagination, and I believe that her dual conversation on the nature of government control, and the ever-present will of the individual to thrive under repressive circumstances, is made all the more poignant by situating her books in the very real Appalachian region of North America. Maybe The Hunger Games is so addicting because it’s hard for the reader to predict exactly what will happen next. Sure, some of the concepts in the novels are relatively recycled. 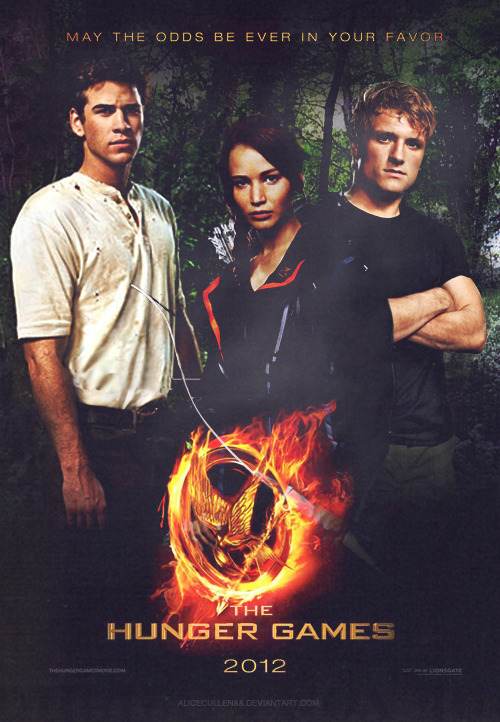 The love triangle between Katniss, the main heroine, and Peeta and Gale, her two love interests, is a bit overdone. Who will she pick – the brooding and impassioned handsome rebel, or her steadfast and brave partner in the Games? While the answer isn’t revealed until the third installment, and the romance itself is a guilty pleasure to read, for me it’s neither the focal point nor the redeeming plotline of the book. What’s more, the very concept of the Games itself sounds a bit like The Lord of the Flies…although I must admit that I’ve never read that novel before. Collins’s virtue as a writer lies is in her ability to reiterate on older storylines and make them her own. I found myself skipping ahead whole sentences while reading the first book because I was dying to know the results of the Hunger Games themselves, a bloody and psychologically twisted fight to the death that is also the highlight of entertainment in Panem’s richest city and government headquarters, the Capitol. Though the concept brings to mind gladiator fights from Roman times, Collins relies on modern technology and her own projections of the future of American culture to reconceptualize the main event. And while the notion of rebellion against a dictatorial government seems to ring a fairly classic tune, for the most part Collins’s use of the Games as a unique metaphor for complete social and mental control supplies just enough surprises to keep the reader guessing. After all, we’ve never seen the Hunger Games themselves in any other book – so Collins has a monopoly on that particularly imaginative concept. For real though, all attempt at reviewing aside: it’s just a really fun read. It is with great pleasure that the slubs present the Slub of the Week award to The Hunger Games. Suzanne Collins, accept this honor with great pride. It may not be a Nobel Prize for Literature or a Pulitzer, but really it’s the next best thing. 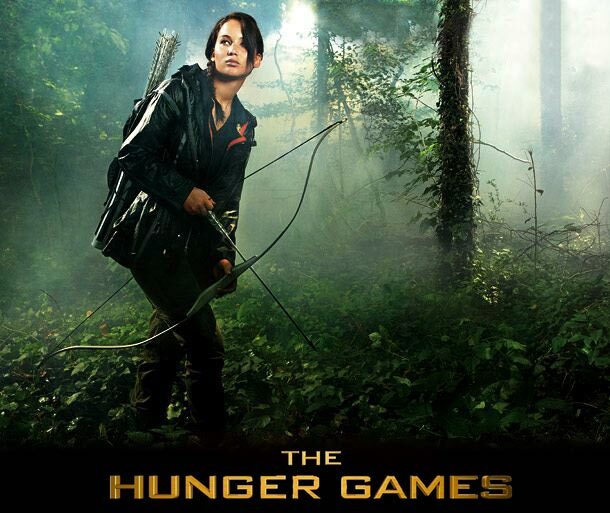 So, dear readers, tell us: What is your opinion of The Hunger Games hysteria? Categories: slub of the week | Tags: books, review, slub of the week, the hunger games | Permalink. I too am a slub -- sign me up. these posts be straight slubbin today. Bella Piccoli Pezzi A simple acknowledgment of the things that bring me joy. circles in the sky Learning from a year in Haifa. second set of baby steps every wednesday, i wrestle adulthood in the blogging ring. The Muster Tree DIY. Food. Green. Military. Life. Yallah Yalova I’m headed to Turkey, let’s go together!